Spring is coming. 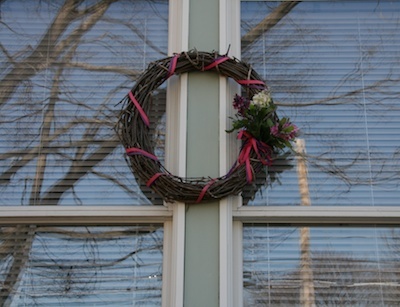 We changed our wreaths from winter to spring last week. Looks cheerful from both outside and in.